If you are into eating exotic foods, you should really try eel. As a delicacy in some countries, eel dishes are quite expensive – and people are willing to pay good money for this seafood. You are probably intrigued as to how eel tastes like. Well, I will let you know in this post – and you will learn everything there is to know about this type of food. What Does Eel Taste Like? Experts, however, know for a fact that the skin and flesh of salt water eels are tougher compared to those of the freshwater kind – therefore, it’s one way of distinguishing these two types of eel from each other. As food, freshwater eel and salt water eel almost taste the same. In fact, it’s quite hard to tell them apart. There are two basic types of eel – freshwater eel and salt water eel. As you can already tell, they are categorized according to their natural habitat. Since freshwater eel are softer in nature (than the saltwater type), they’re also more in demand. It’s actually one of the reasons why the freshwater variety is a little more expensive than the salt water kind. As eel can absorb the flavor of sauces and seasonings, its final taste when cooked will depend on the particular recipe used in its preparation. Frankly, I have never tasted eel before – but according to a lot of people, it tastes like chicken. And this is no joke – people are seriously comparing its taste and texture (when cooked) to chicken. While we are in the subject of tasting eel as an exotic food, let me just say that its taste can also be compared to the taste of frogs and snakes. Again, I have never tasted snakes and frogs before – but people who are into eating exotic food say that these types of food have similar tastes. And according to them, they all taste good. 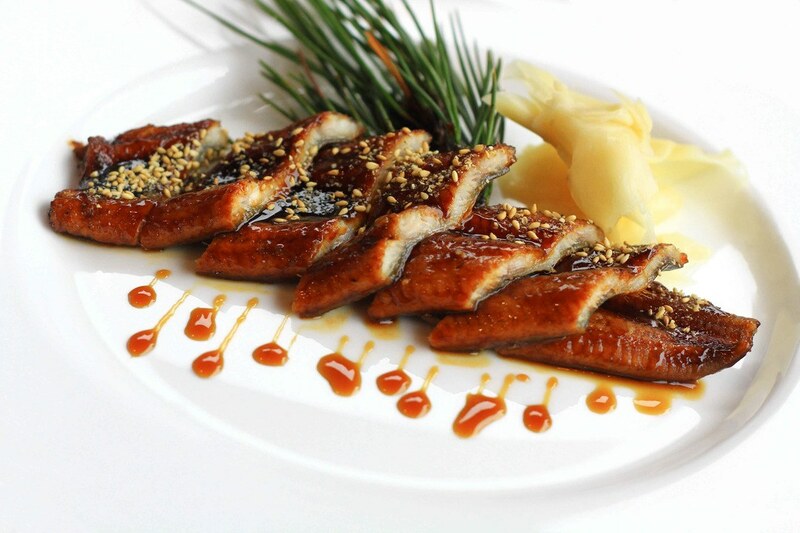 Authentic Japanese dishes include eel as one of the main ingredients in their recipes. They really enjoy its taste and even have a popular dish called Unagi (an eel dish). Eels have also been a long-standing part of Japan’s traditions and culture. In fact, they even have an occasion called Ushi-no-hi festival which is celebrated by cooking and eating eels. Just think of it as the American Thanksgiving, which is celebrated by eating turkey. The Japanese people are also known for their fascination in medicinal sources of food. And in the case of eels, they believe that it makes their men healthy and their women beautiful (and also healthy). Eels are high in unsaturated fat – Unsaturated fat is good for the heart. The calcium content of eels is high – Regularly eating eels will help keep your bones strong and healthy. Eels are a good source of Vitamin E – Vitamin E is an antioxidant that can help you maintain healthy and beautiful skin. Eels are long – and they have snake-like bodies. They can grow up to about 4 meters long. As for their “feel” – they’re really slimy (that’s why they’re slippery). Jellied – This method involves cooking the eels in boiling water and using their own juices to create a jelly-like stock. Fried – Eels can be fried like regular fish. Baked – Eels can be baked and baked pieces can be used in sushi dishes. It is NOT advisable to eat raw eels – even in sushi dishes. Fillet – Removing the eel’s backbone can easily make it into fillet and cooked any way you want to. 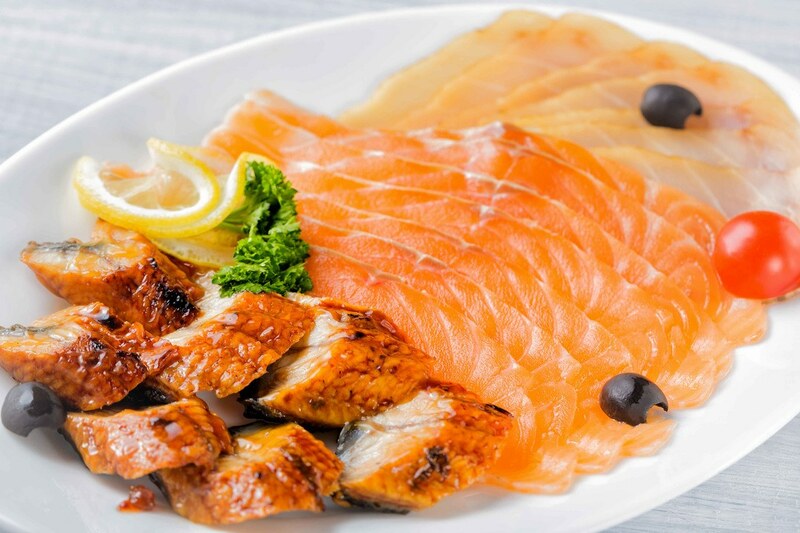 Steamed – You can steam eels like other types of seafoods. Smoked – Eels can be cooked in the smoker. Grilled – Eels can be grilled like other types of fish. Step 1 – Gut and clean the eels. Step 2 – Chop the eel into small pieces. Step 3 – Let the pieces of eel cook in boiled water for about 5 minutes. Do not overcook. Step 4 – Drain and transfer the eels to another pot. Step 5 – Add seasonings (parsley, bay leaves, pepper corns, lemon juice, vinegar, etc.). Step 6 – Bring to a boil and let the mixture simmer for about 20 minutes. Step 7 – Remove the pieces of eel from the mixture and place in a deep dish. Step 8 – Strain the stock and set aside. Step 9 – Pour the stock into the dish containing the eel. Step 10 – Put the eel dish in the refrigerator to allow the stock to set and form a jelly-like consistency. Adding gelatin to the stock is optional, as the eel stock will naturally have a gelatinous form once it sets. The natural juices from the eel will make the stock jelly-like in appearance. Step 1 – Clean the eels, making sure that all internal organs are removed. Step 2 – Hang and allow the eels to dry for about 24 hours. Step 3 – Cut the eels into small pieces for cooking. Step 4 – Rub brown sugar onto the pieces of eels, covering them completely. Step 5 – Refrigerate for about 3 hours to allow the brown sugar to be absorbed by the eels. Step 6 – Position the pieces of eels in the smoker and cook. Unagi is a popular eel dish in Japan. If you want to make your own homemade Unagi sushi roll (video), the step by step instructions are listed below. Step 1 – Have all the ingredients within arms-reach (cooked rice, baked eel, nori seaweed, cucumber, cream cheese, etc.). Step 3 – Cut the assembled sushi into pieces. Frying is always a simple way to cook anything. And if you’re used to frying fish, you will find that frying eels basically works (and tastes) the same. The steps to frying eel (video) are listed below. Step 1 – Clean fresh eels thoroughly. Step 2 – Cut up the eel into small pieces. Step 3 – Cook the pieces of eel in boiling water. Step 4 – Drain the water and add oil to the pan. Step 5 – Fry the pieces of eel for a few minutes and remove from the pan. Step 6 – Make a vegetable mixture by combining the ingredients in the frying pan (garlic, lemon grass, pepper, oyster sauce, etc.). Step 7 – Add back the fried pieces of eel into the vegetable mixture and combine well. When cleaned and seasoned properly, you can also enjoy steamed eel (video). 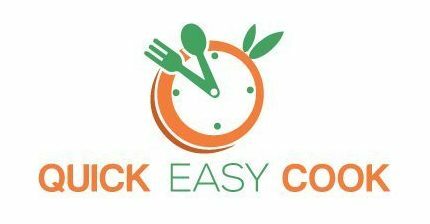 To make this very simple dish, just follow the steps below. Step 2 – Cut the eels into small pieces. Step 4 – Set up the steamer and cook the eels. Q: What does Jellied eel taste like? A: In order really understand how Jellied Eel tastes like, I will tell you how it’s prepared. To make this dish, chopped eels are cooked in boiling water with vinegar and lemon juice (other spices are also added, depending on the recipe). Finally, fish stew and gelatin (optional) is added to the mixture until it becomes semi-solid or jelly-like. Because of the way it’s cooked, the eel’s fishy taste and slimy characteristics are eliminated and the dish will taste like ordinary fish. Q: Are electric eels the same as eels? A: Electric eels don’t really belong in the family of eels – this type of fish actually belongs to the Knifefish family (and is more closely related to catfish). Also, while eels are consumed as food, electric eels aren’t really popular as food. Because of its anatomy and structure, only a very small part of an electric eel is considered to be safe for human consumption. Q: What is the te​xture of eel flesh? A: The flesh of eel can be somewhat compared to the texture of a Salmon’s meat. However, eel meat is firmer than a Salmon’s flesh. And needless to say, eel flesh is more slimy than that of a Salmon (especially when raw). Q: What does eel look like? A: Eel looks like a cross between a fish and a snake. Q: What does smoked freshwater eel taste like? A: Since the cooking process of smoking will somehow remove all the slimy characteristics of an eel, this dish will taste like any ordinary seafood recipe. The overall flavor, of course, will depend on the seasoning used in preparing the eel. Q: Are eels used in sushi rolls? A: Yes, there are recipes that use (cooked) eels in making sushi. This dish is particularly popular in Japan. If you had no idea what eel tastes like before reading this post, now you have a general knowledge about it. In my opinion, I would have to say that eel tastes good (it’s sweet and tasty) if it’s cooked properly. And proper cooking of eel involves cleaning it well and using a lot of spices to season it and remove its fishy, slimy characteristics. 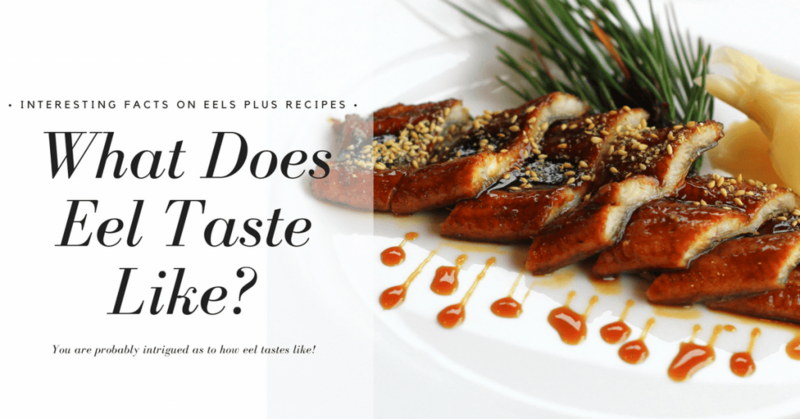 If you are keen on trying eel dishes or maybe even making your own (I included eel recipes in this article) – I would say, go for it! 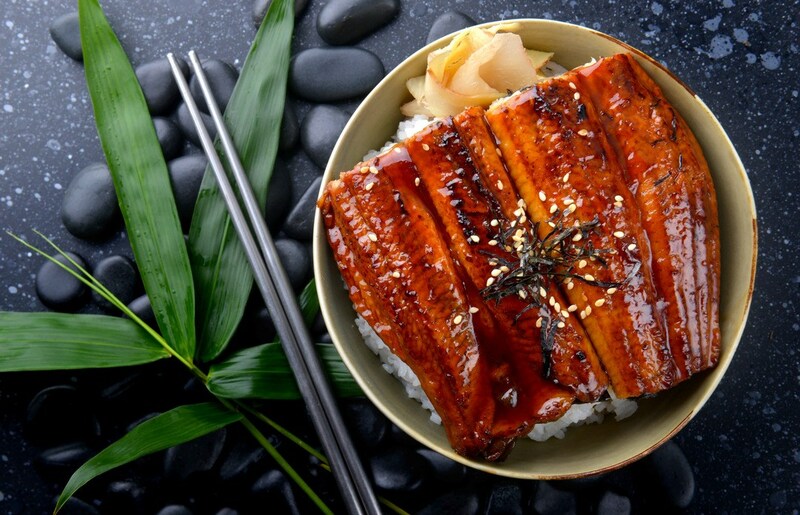 Eel is a type of fish – and as such, it’s basically as nutritious as any seafood. Let me know how it goes (if it’s your first time to eat eels) by leaving a comment below. Also, feel free to share this article with your friends.